Constituent Assembly did not want to restrict Article 17 to caste-based untouchability. Sabarimala temple case lawyers invoked it to argue ‘gender untouchability’. 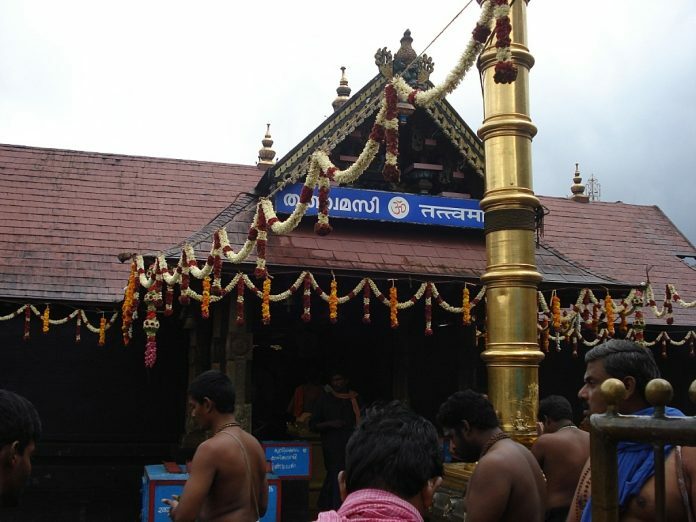 On 18 July the Supreme Court began hearing arguments in the Sabarimala temple entry case. The case will decide if the customary religious practice of prohibiting women between 10– 50 years of age (essentially, menstruating women) violates equality under the Indian Constitution. On the first day of arguments, senior counsels Indira Jaising and Raju Ramachandran invoked Article 17 of the Constitution which states – “Untouchability is abolished and its practice in any form is forbidden”. They wanted the court to interpret ‘untouchability’ as including ‘gender untouchability’ and use this as a basis to declare the Sabarimala customary practice as unconstitutional. The bench responded to these arguments by saying that Article 17 only referred to caste-based untouchability. Shah was concerned about the vagueness of the term ‘untouchability’. As another member Naziruddin Ahmad pointed out, while the term certainly had a political caste related meaning that everyone understood, the term ‘untouchability’ as it appeared in Article 17 “had no legal meaning”. Shah also wanted to know if the quarantine of people suffering from a disease as a precautionary public health measure would be an offence under Article 17. He then warned the Assembly that “the lack of any definition of the term ‘untouchability’ makes it open for busybodies and lawyers to make capital out of a clause like this, which I am sure was not the intention of the Drafting Committee to make”. What did the Constituent Assembly intend to do through Article 17? Was it meant to only refer to the caste-based practice and nothing else? When the Vice-President of the Constituent Assembly asked Ambedkar if he wanted to respond to Shah’s concerns, Ambedkar replied with a curt “No”, an indication that Ambedkar felt it was not necessary to define untouchability – even though in a prior debate he made it clear that Article 17 was about untouchables. Ambedkar also rejected Nazzirudin Ahmad’s amendment which read: “No one shall on account of his religion or caste be treated or regarded as an ‘untouchable’.” The addition of the terms ‘religion’ and ‘caste’, Ahmad hoped, would make the article less vague. When this amendment came up for voting, the Constituent Assembly rejected it. This strongly suggests that the Constituent Assembly did not want to restrict the scope of Article 17 to caste-based untouchability. From a reading of the deliberations in the Constituent Assembly, we find that while the framers were going to adopt anti-discrimination Articles (14,15), they felt that the caste-based practice of untouchability was so prevalent, and its annihilation so critical to social reform, that they decided to draw up a separate provision – Article 17 – that specifically called out and criminalised it. That being said, they refused to constrain the scope of Article 17 to only caste-based untouchability and intentionally left the meaning of untouchability undefined in the constitutional text. It is plausible that the framers felt that other forms of untouchability could arise in the future, or there could exist forms of untouchability that they did not know about. Efforts to eliminate these social practices would be aided by leaving Article 17 vague, which to the liking or disliking of K.T. Shah, the counsels Indra Jaising and Raju Ramachandra made capital out of and the bench, if not failed to grasp, did not engage with. Vineeth Krishna is lead associate editor for Constitutional and Civic Citizenship Project at the Centre for Law and Policy Research, Bengaluru. He primarily works on the CADIndia website — cadindia.clpr.org.in — a portal that facilitates public engagement with India’s rich constitutional and political history.